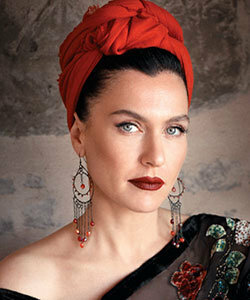 Biography: Sevval Sam is the daughter of Turkish singer Leman Sam. She got married to famous soccer player Metin Tekin in 1993 and got divorced in 1999. She started her acting career with popular Turkish drama Supe Dad (Supe Baba) and took part various TV project after then. Now, she is both interested in acting and music as her mother.